SNAP Health Center™ by PSNI is an all-inclusive Electronic Health Records (EHR) solution designed specifically for the school health clinic. SNAP Health Center utilizes superior design and technology to achieve better student health outcomes by streamlining workflow, increasing communication, and providing comprehensive health data analysis in a paperless FERPA and HIPAA environment. SNAP Health Center is a comprehensive solution that features easy-to-use technology while complementing nursing expertise. Designed to accommodate the workflow preferences and expectations of school health professionals, schools and districts of all sizes will achieve higher performance and efficiency. To match the work style and clinical approach of every nurse, SNAP Health Center works, thinks, and cares like a nurse. As a member of the School Office Suite®, SNAP Health Center is seamlessly integrated with our student information system, Administrator's Plus. Student demographics, emergency contacts and critical health information are automatically synchronized so data will always be accessible, especially during times of medical crisis. Stay ahead of district-wide health hazards and safety risks before problems arise. Have absolute confidence in immunization audit compliance. 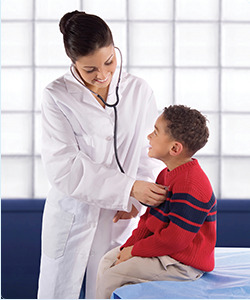 Facilitate communication between medical staff, teachers and parents to maximize academic performance. Gain valuable insight into the overall health status with comprehensive reports. Focused on reliability and flexibility, SNAP Health Center is designed to work the way nurses think. Currently, this software is implemented in small districts of less than 100 students up to large districts with over 200,000 students. The intuitive user interface allows for a seamless integration into the daily routine. Registered nurses and software engineers are on standby to offer award-winning customer service and support. A wide range of training options are available to accommodate various budget and scheduling requirements. How Can SNAP Health Center Benefit Your Practice? Accuracy: Precise documentation means fewer medical errors, resulting in healthier students who are able to attend more classes and learn at a higher rate. SNAP Health Center eliminates redundant data entry and utilizes a point-and-click interface to make documentation easy, consistent and precise. In a 2011 survey, more than 99% of SNAP users reported passing state immunization audits with flying colors. Meaningful Use: Data that was formerly inconsistent and too overwhelming to analyze is now delivered in a clinically useful format. With SNAP Health Center, nurses are able to deliver health care in a more efficient, safe and cost effective way. Automatic BMI charting, concussion evaluation, peak flow, and diabetic tracking provide extensive insight into the health of the school district. With immediate access to patient data, practicing preventive care becomes more attainable. Communications: SNAP Health Center facilitates high-level communication with district staff, parents and outside providers to produce more effective results. The SNAP Health Portal streamlines communication with parents while dramatically reducing workload. Simply emailing letters can increase referral completion rates by over 40%. Sharing real-time health trends with state DPH allows nurses to play a key role in tracking trends such as influenza-like illnesses, acute gastrointestinal incidences and potential cases of bioterrorism. Efficiency: A well-designed EHR allows nurses to spend between 15-26% more time caring for students. With the click of a button, cut screening completion time in half by group processing results and form letters.The intuitive design and customized work flow expedite documentation and promote accuracy. Cost Savings: A well-thought out EHR system quickly pays for itself in the first year of implementation. Start reducing costs immediately by eliminating printing, mailing and office supply costs. Continue to save by submitting for Medicaid reimbursement through the clearinghouse of your choice. Data Security: SNAP Health Center maintains the highest security standards. FERPA and HIPAA compliance ensure data remains secure and protected. To protect from legal ramifications, access to data is controlled by PINs and a behind- the-scenes audit trail. every aspect of student health data.